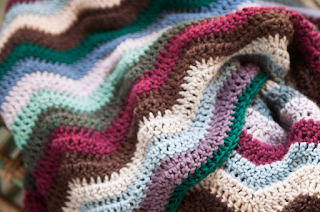 You are expert at making these pretty blankets. It will brighten up their place, I'm sure. What a pretty gift! I'm sure it will be cherished. So cozy! I have crocheted blankets that are decades old and very well-loved. I'm sure Tia will love it!